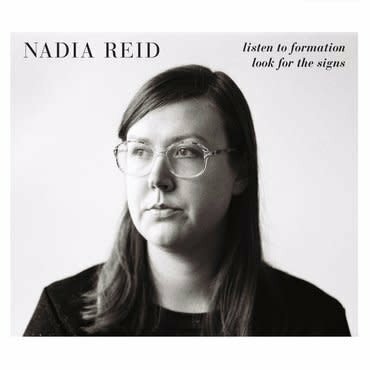 New Zealand's Nadia Reid has spent the better part of ten years writing music for her debut full-length album Listen To Formation, Look For The Signs. It has all that well-smoked wisdom, that mingling of strength and yearning that seems to charge the work of all our favourite female artists - Laura Marling, The Weather Station, Sharon Van Etten and Tift Merritt, to name but four. Boldly infusing folk with full flavour, Listen To Formation, Look For The Signs was produced by Ben Edwards, owner of Lyttelton Records in his Sitting Room studios with Nadia's band consisting bassist Richie Pickard, guitarist Sam Taylor and percussionist Joe McCallum.